The total number of answers submitted via Netball Australia’s Section 1 Umpire exam. 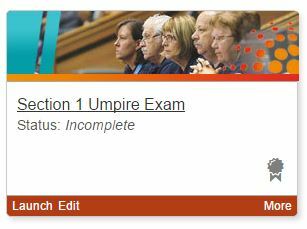 The total number of enrolments into Netball Australia’s Section 1 Umpire exam. That’s a lot of data we're holding when put in the context of another dozen clients with as many exams and courses. Is a lot of data a lot of headache? Nope. Not for us. Not by a long shot. There are many Digital Education Solutions which would fall over or slow to a glacial pace well before these numbers were hit. Some Tech Solutions are strictly limited by rows in tables or database capacity, while in other cases, suppliers see growing data volumes as an opportunity to put their hand out for a lot more cash. Thankfully we don’t constrain our clients’ product growth by any of those parameters. Choosing your IT supplier on more than UX or functionality requirements is critical. You want to choose a partner who is as invested in, and supportive of, your growth as you are. You need a partner who can anticipate the landmines you don't even know exist yet. When Netball Australia began their journey, they certainly didn't anticipate the numbers above. The ability of their technology infrastructure to support future data demands wasn’t even a consideration. Canopi's LMS (using Janison CLS technology) is based on the Azure cloud hosting technology, CDN storage and Microsoft Azure Cloud SQL Database. All pretty geeky terms code for ‘Scalable’. Whether it's a current risk or not, knowing your IT learning and accreditation platform is scalable and can sustain a long term solution makes a happy UX for everyone.